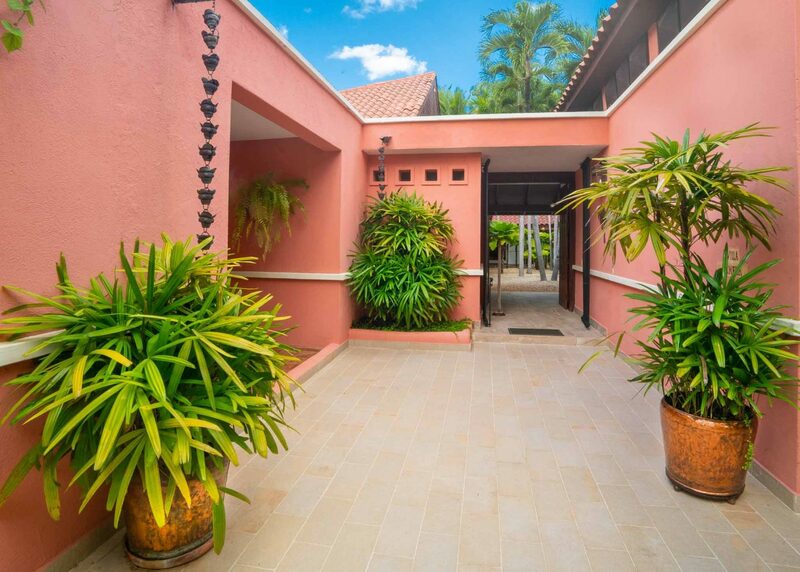 Perched amid lush gardens and dense evergreen vegetation, this cozy property covered with a sober pinkish personality crossed by a white stripe welcomes you through its percolated entrance with flourishing climbing plants. 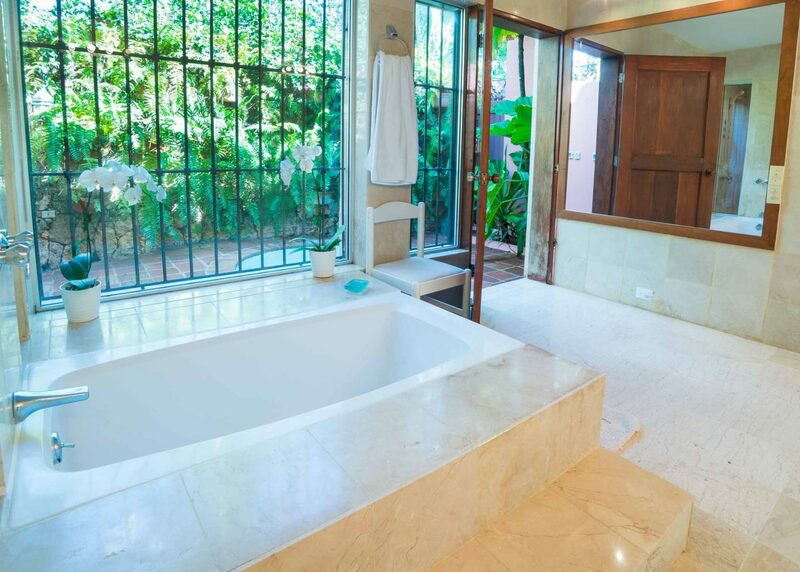 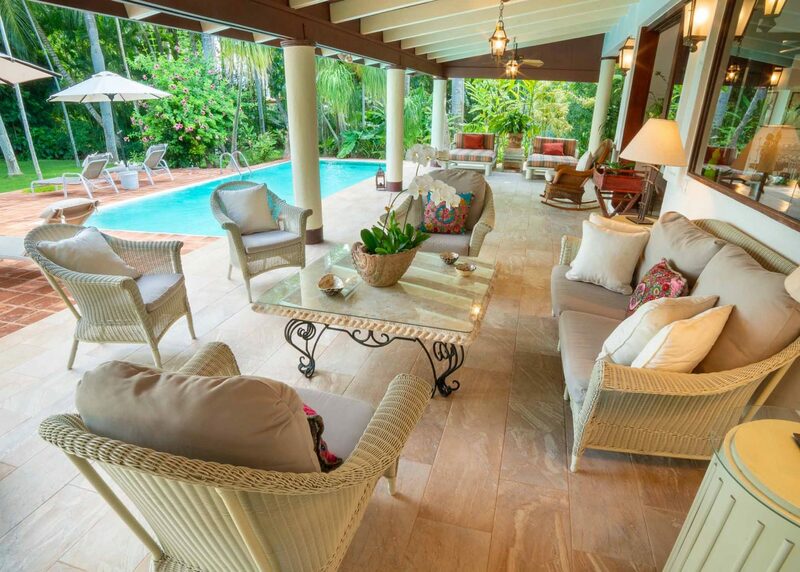 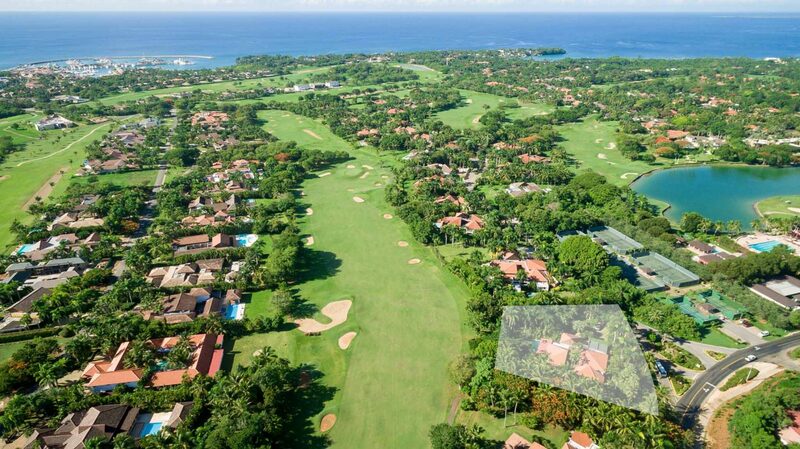 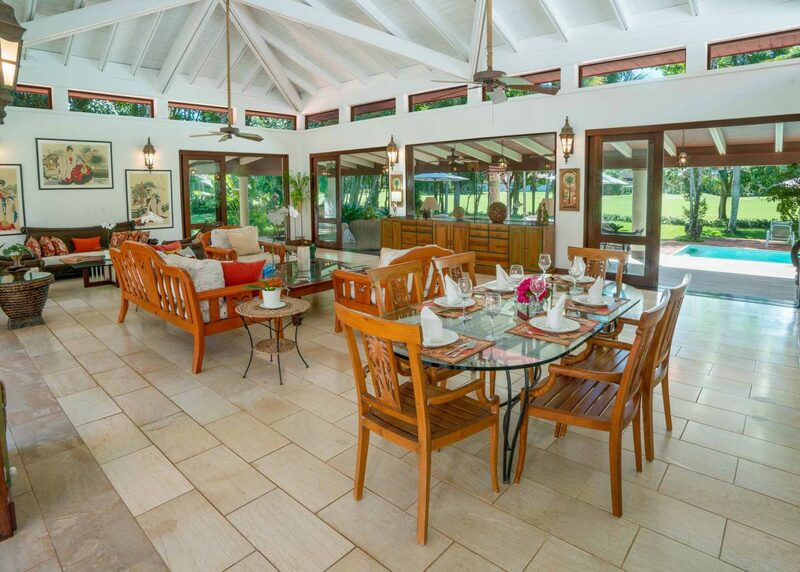 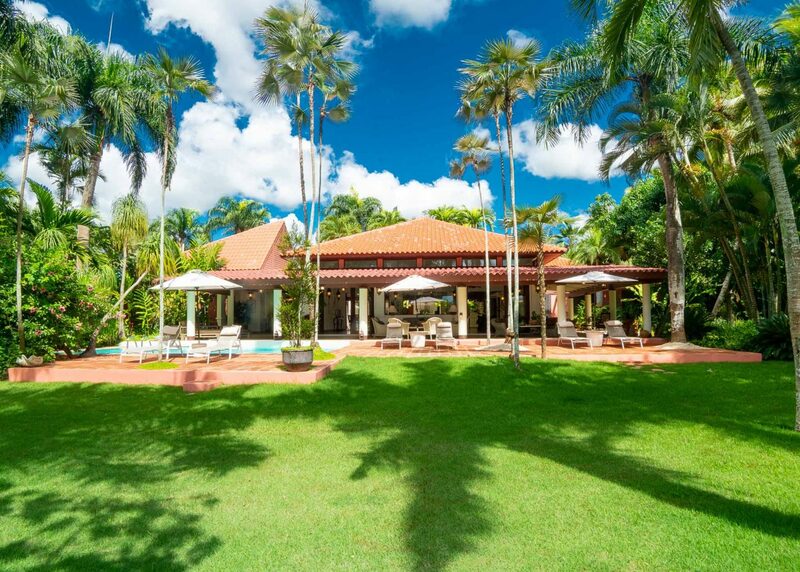 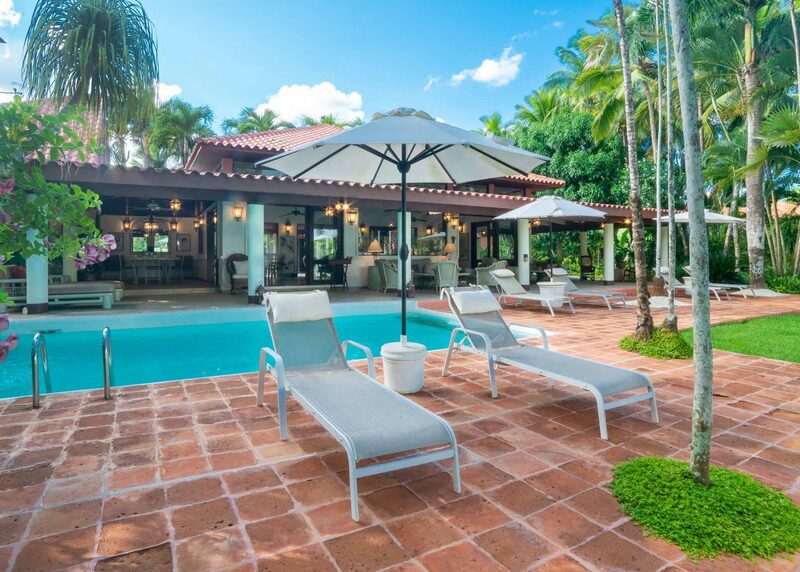 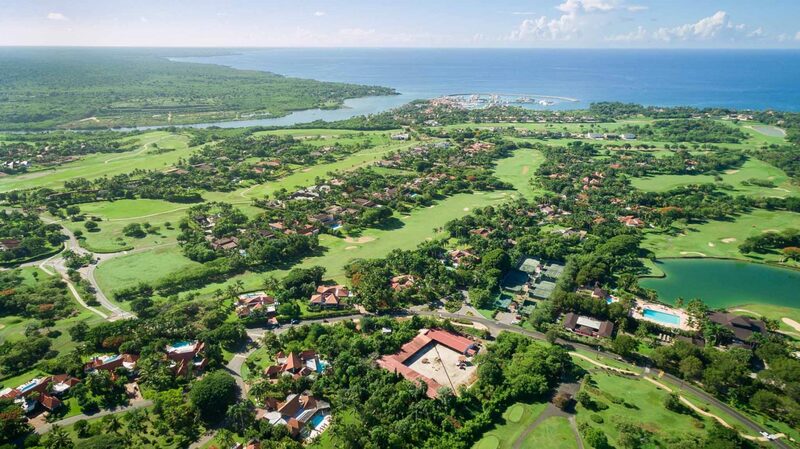 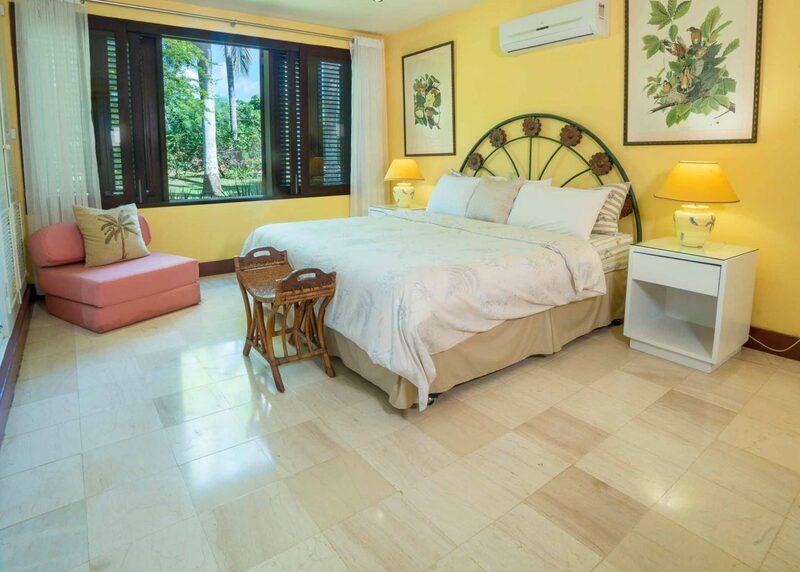 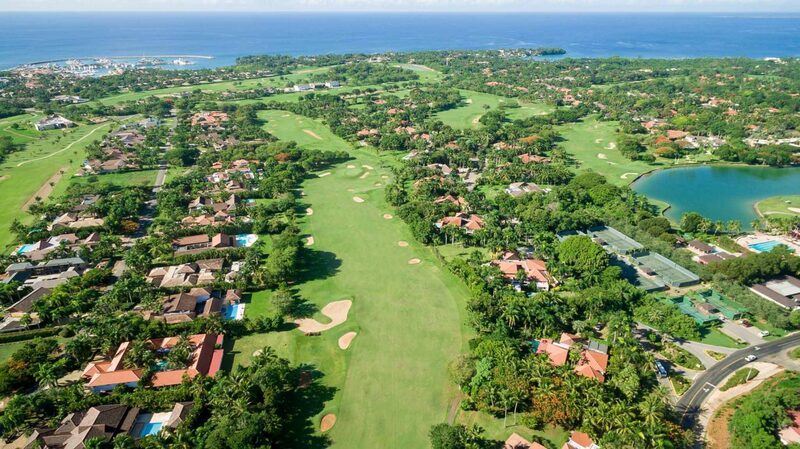 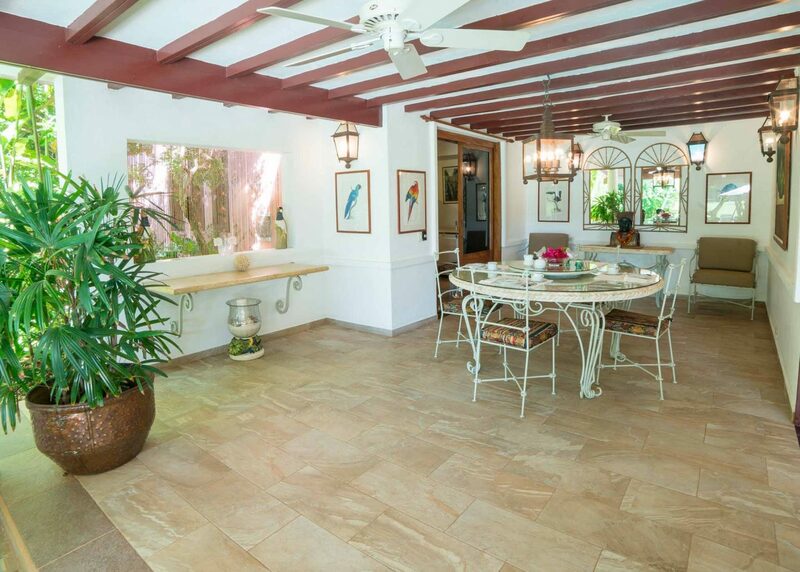 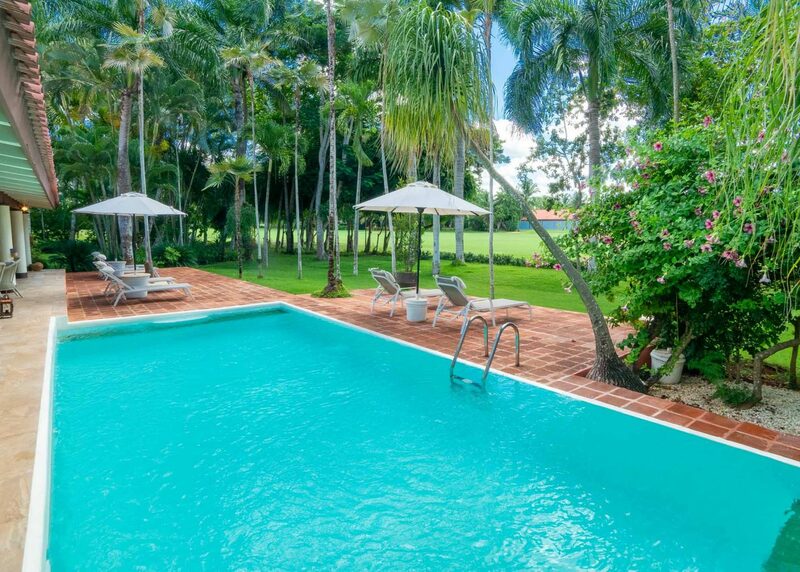 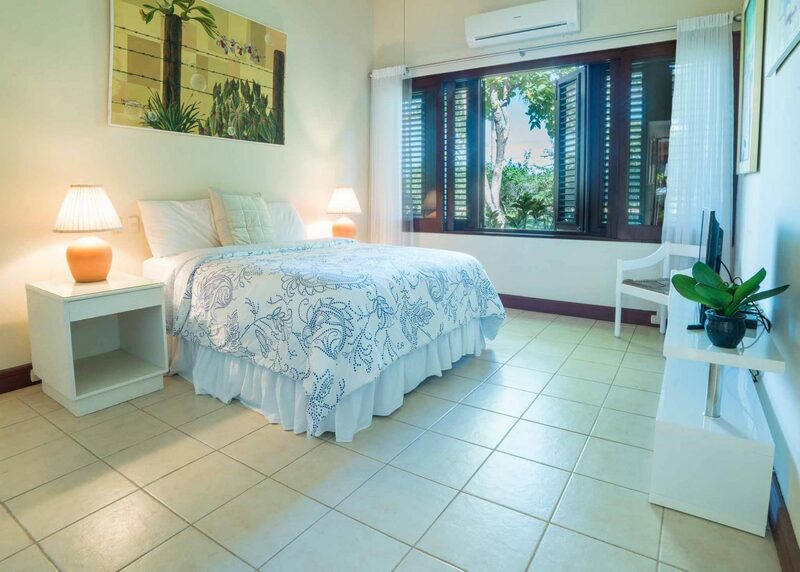 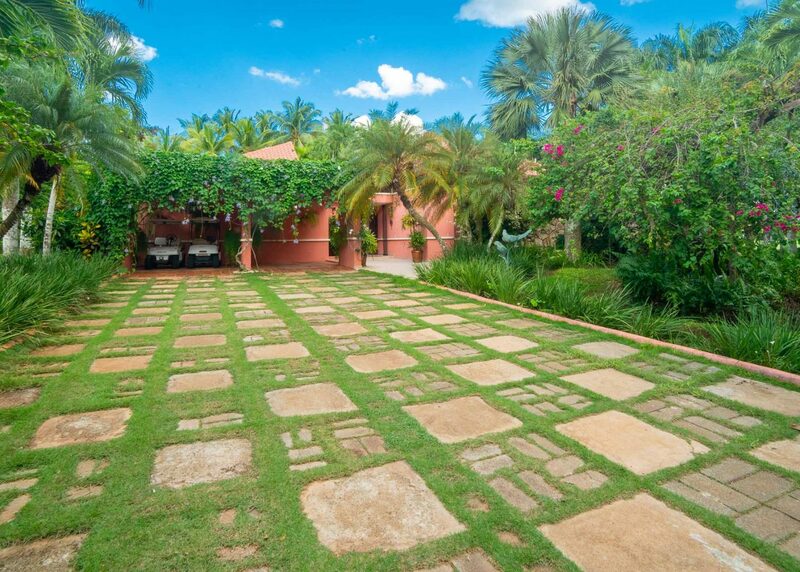 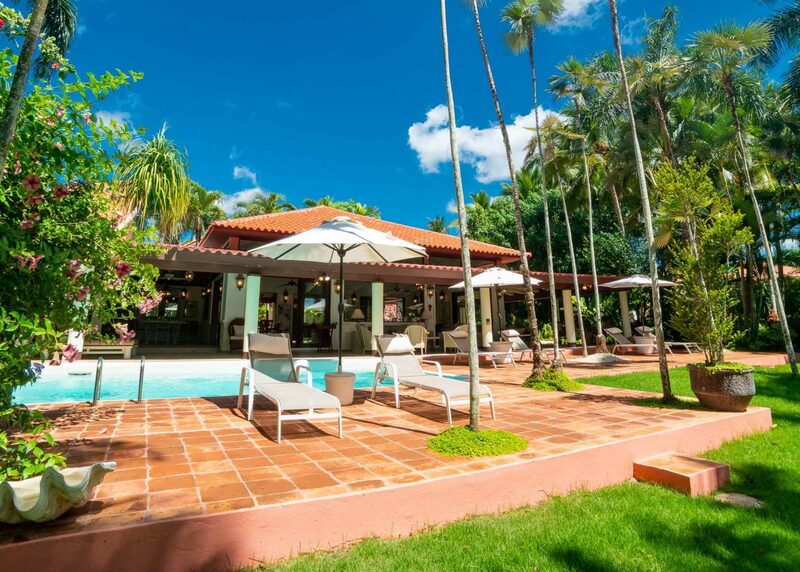 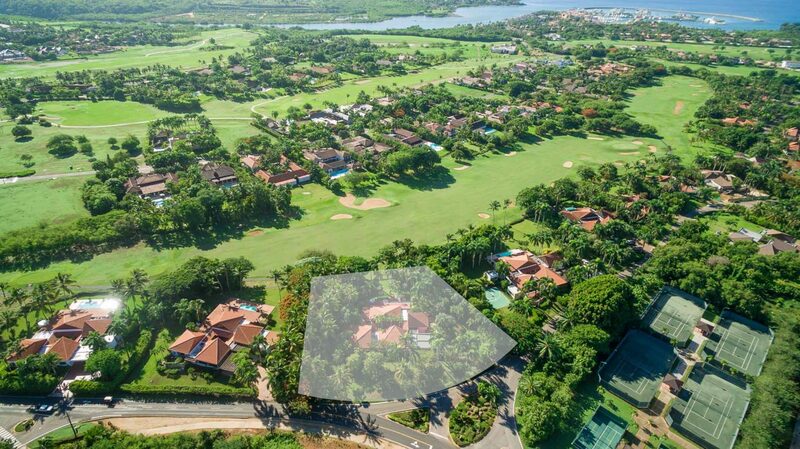 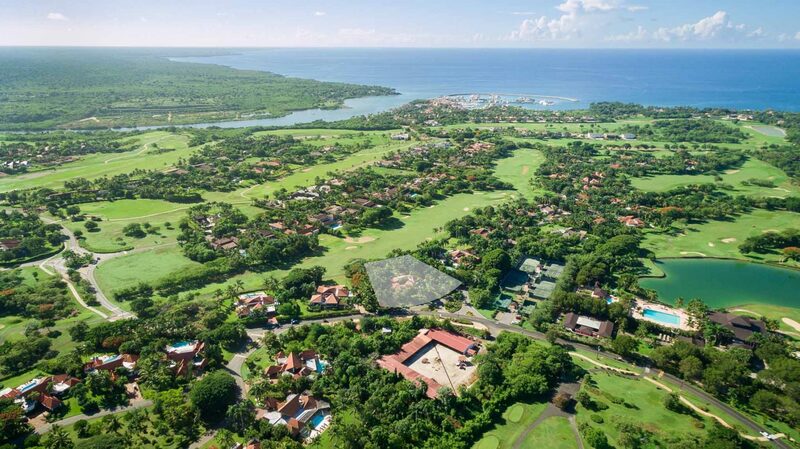 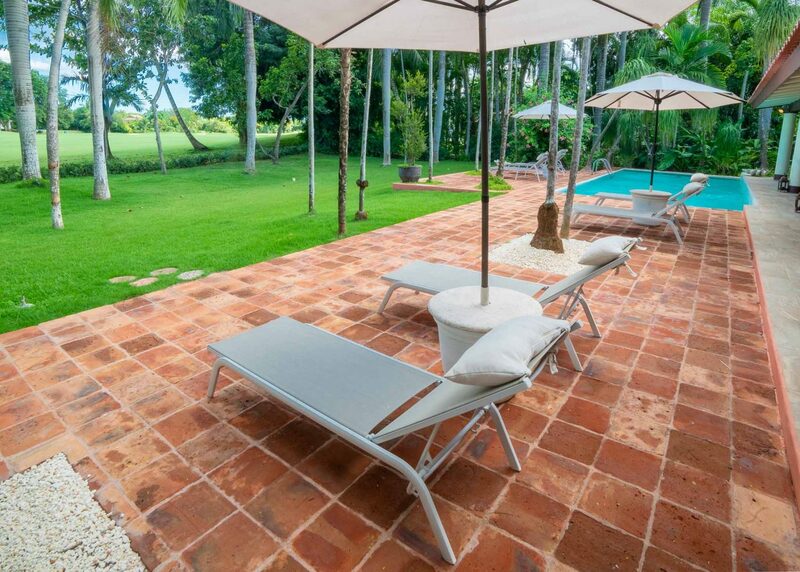 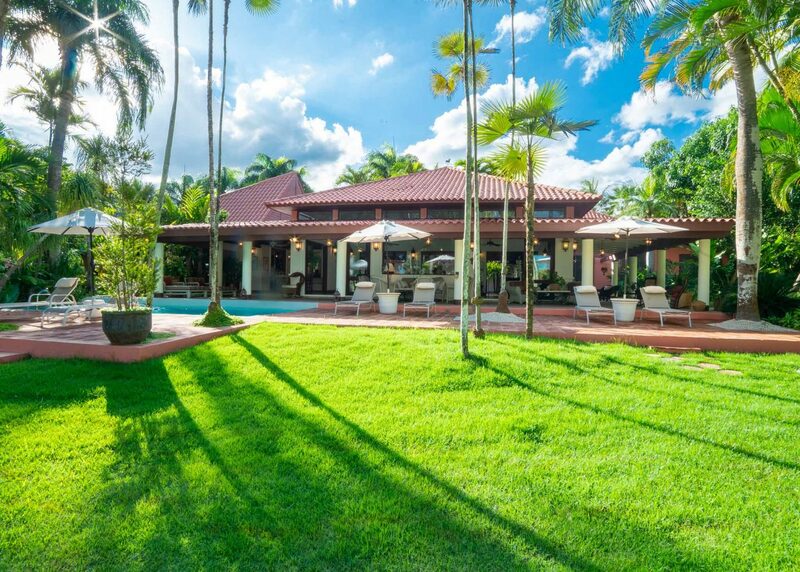 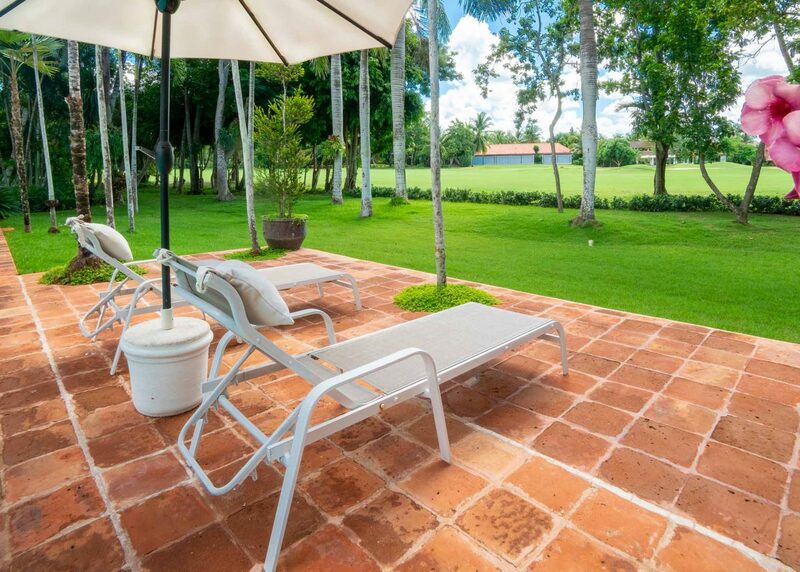 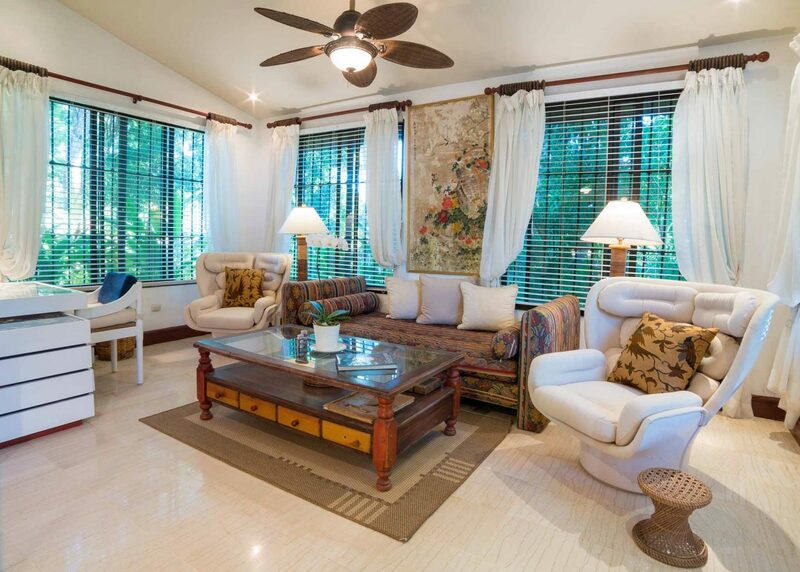 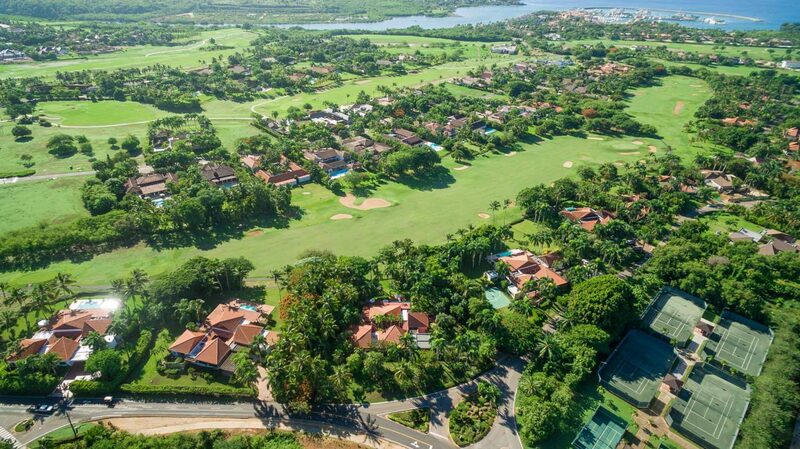 Walking through the main gate is a bright dazzling living room with an attached dining area that salutes you with a gentle breeze coming from the back of the house, where you have a spectacular view of the La Romana Country Club Golf Course. 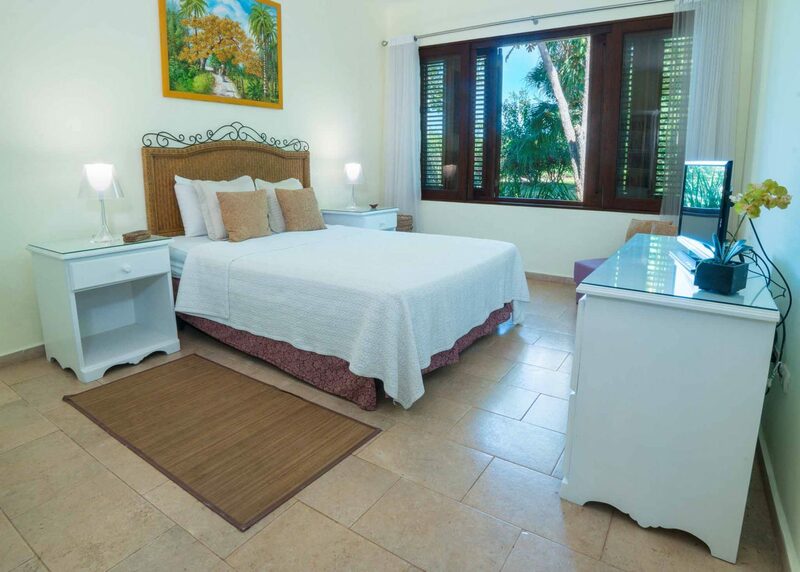 El Ingenio #30 has a fully equipped kitchen ready and waiting to be put to good use, weather for creating beautiful Dominican or International dishes. 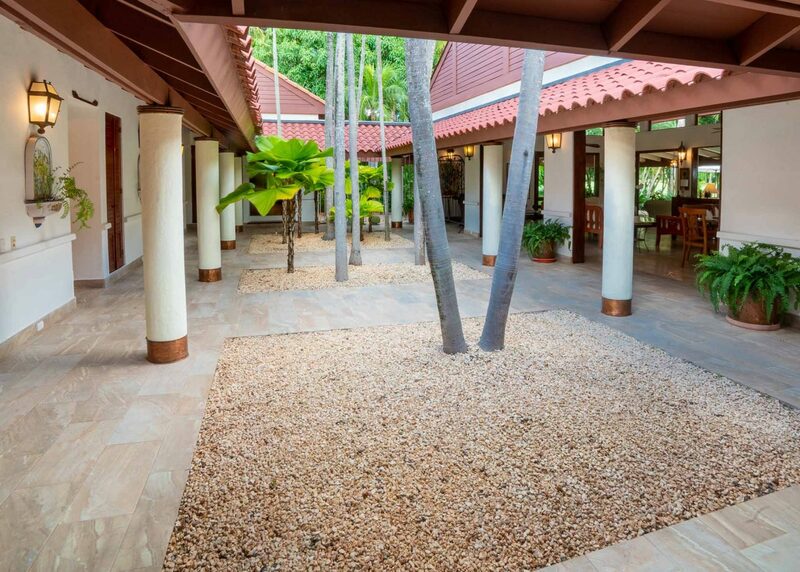 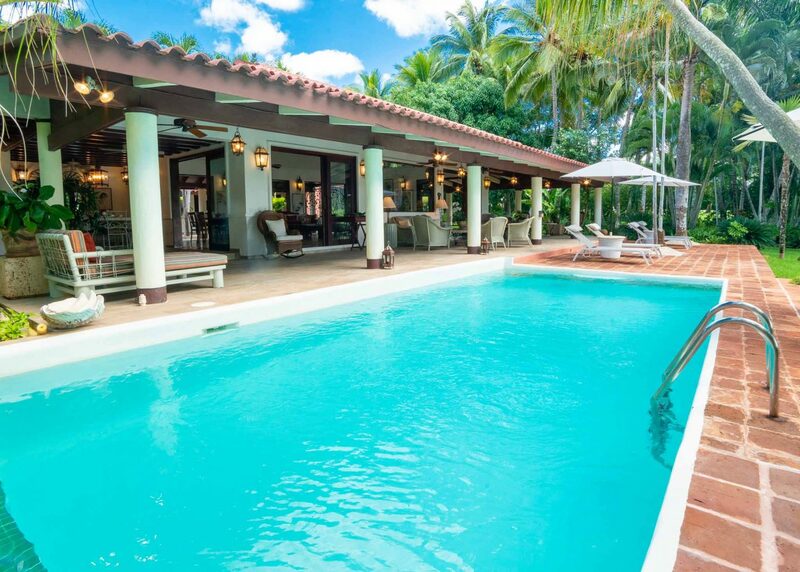 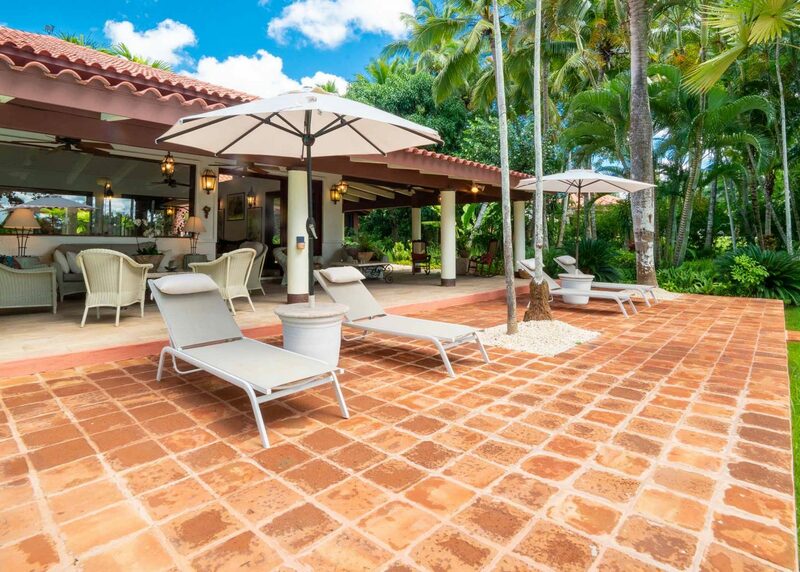 Stepping outside, under the covered hardwood gallery is the gazebo where you can have a pleasant chat with your friends, family or just rest on the rocking chair overlooking the others plunge into the pool to cool off after a long day at the amazing Minitas Beach. 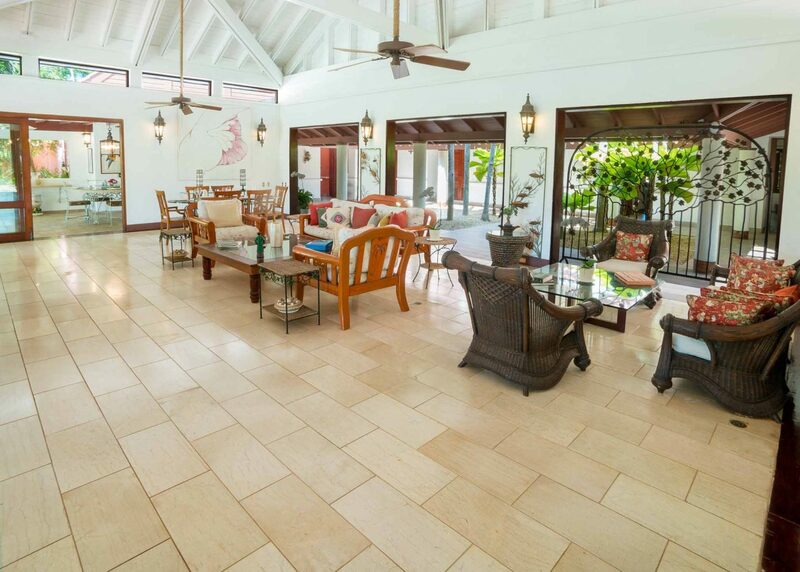 Across the living area, you will find the 6 bedrooms through a beautiful open space in the middle of the house with high palms. 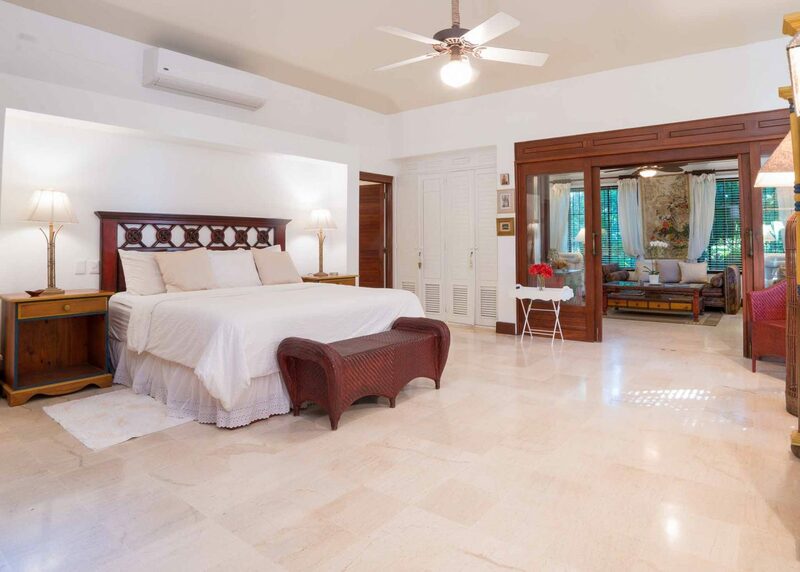 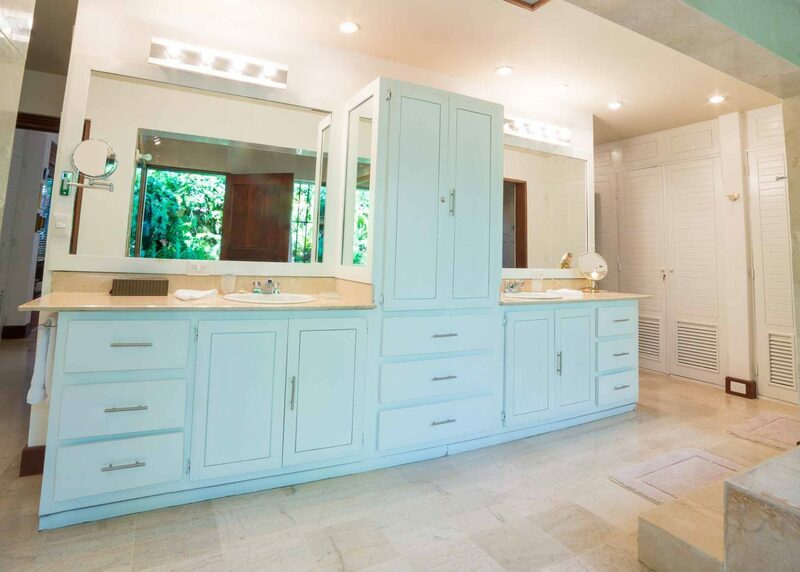 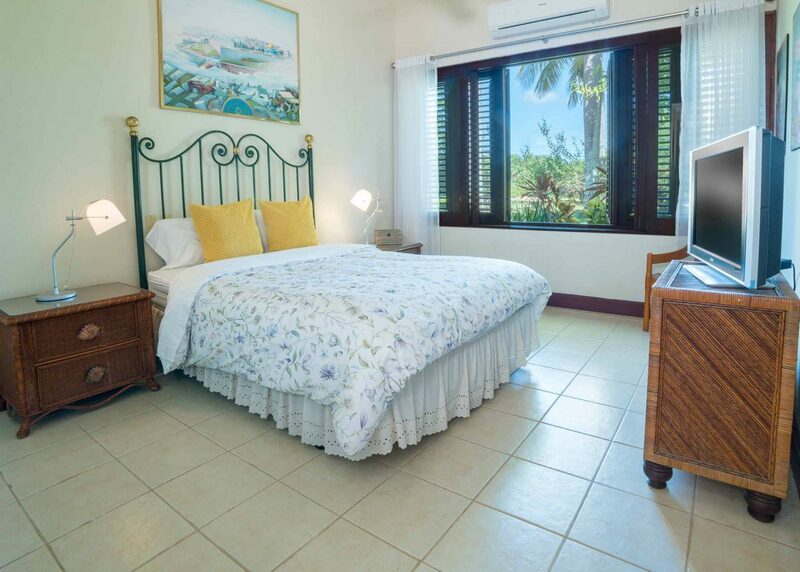 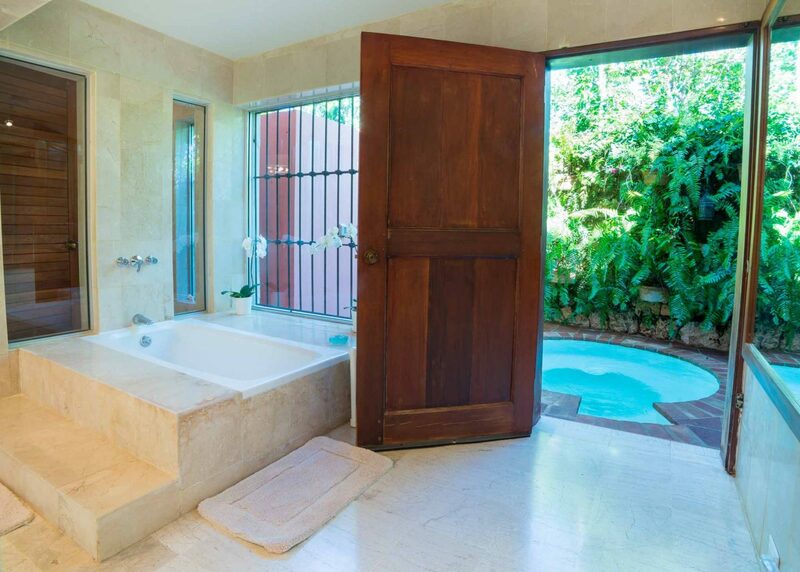 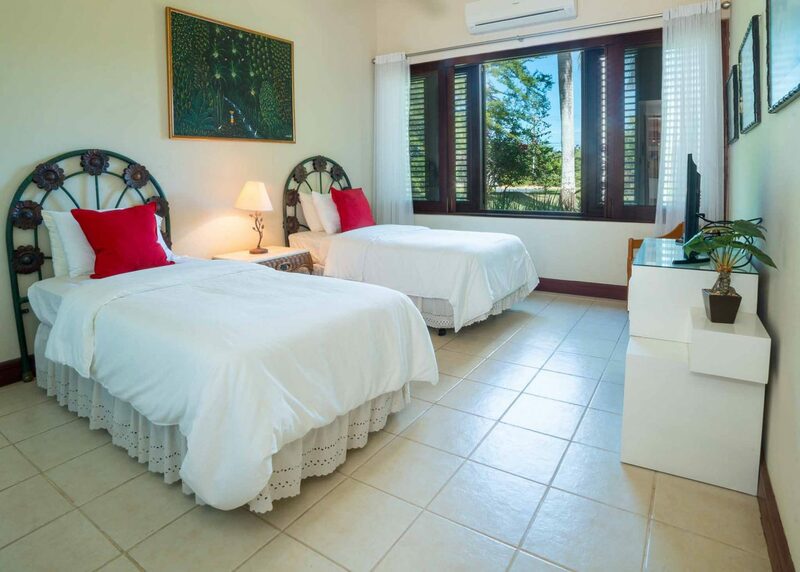 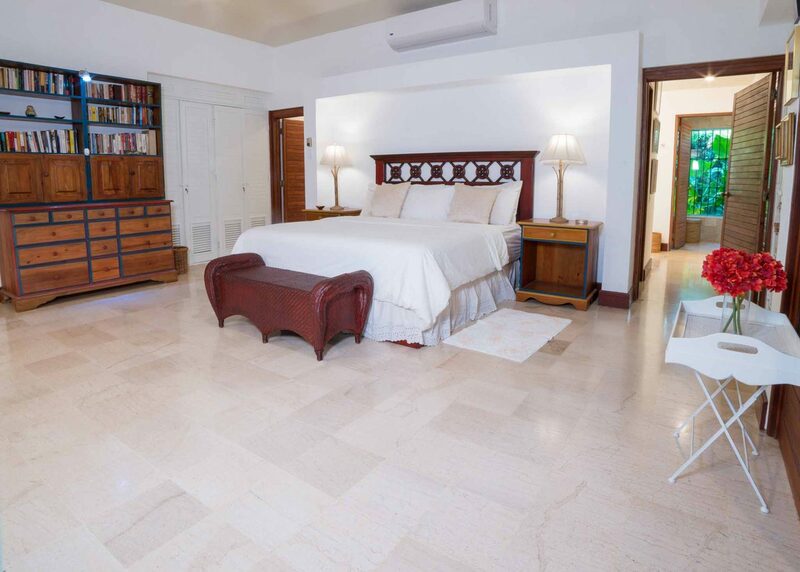 The essence of the villa can be found in the large and imposing master bedroom with an en-suite bathroom, bathtub, an outdoor private heated hot tub, dual vanity, AC, walk-in closets, TV and a space to chill.